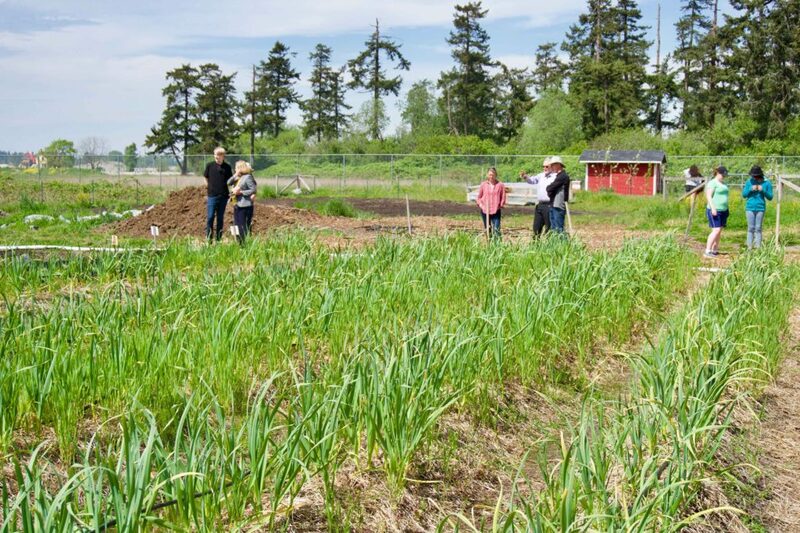 Delta School District’s Farm Roots Mini School has been recognized with a national innovation award. 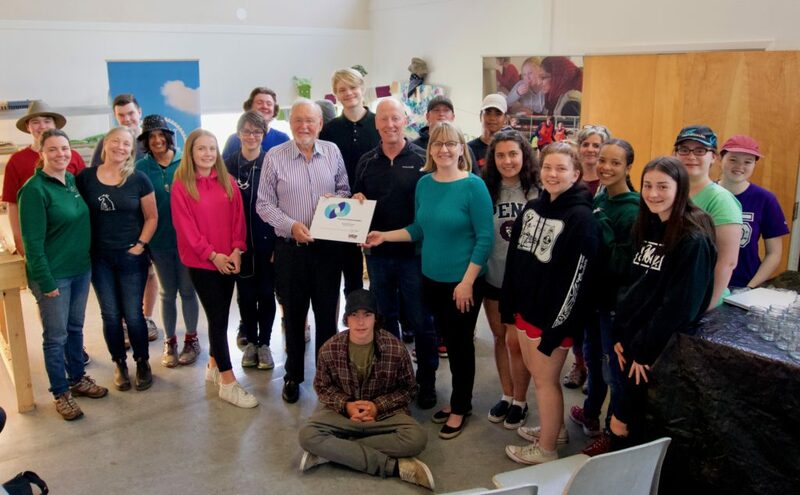 This week Dr. Ken Spencer and representatives from EdCan visited the farm to present the $5000 award, meet the students and see first hand the unique program in action. 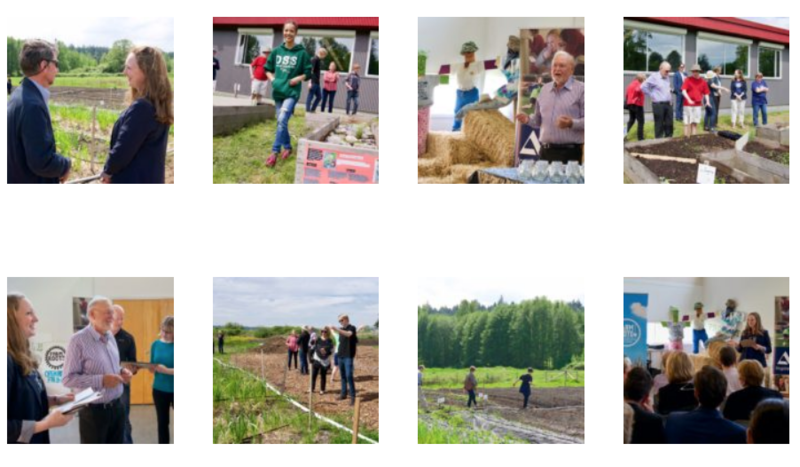 Farm Roots Mini School involves local experts in education, agriculture and sustainability working with students in grades 10 to 12 in a learn-by-doing program where students design, build and manage a farm. The students are responsible for running a sustainable agriculture business, and their efforts are a vital part of their course work. “Farm Roots Mini School holds a special place in our hearts here in Delta,” says Delta School District Board Chairperson, Laura Dixon. “It exemplifies and embodies everything that we work towards—collaboration with our community, innovation in education and teaching, and student driven learning. The unique mini school provides hands-on learning opportunities across core subject areas, including science, social studies and entrepreneurship. The award was established with the contribution of Dr. Ken Spencer to recognize and publicize innovative work that is sustainable and has the potential of being taken up by others; to encourage a focus on transformative change in schools; and to provide profile for classroom innovation within school districts, schools and the media. Dr. Ken Spencer is a former CEA/EdCan Network Director and retired CEO and co-founder of Creo Products. Dr. Spencer has served on several not-for-profit boards, including UBC’s Electrical and Computer Engineering Advisory Committee, and the advisory board to the Dean of the Faculty of Applied Science. In 2011, Dr. Spencer was inducted as a business laureate of the British Columbia Hall of Fame. Since 2009, he has generously donated the financial awards for CEA/EdCan Network’s Ken Spencer Award for Innovation in Teaching and Learning.